Hola Guys, As you all know there was an issue in Android device that it was lacking or memory and getting memory full issue while installing any new games or apps in it. Then I checked the usage of memory and found that the main app which is using the memory that was Google Plus and Google Play Store. I really don’t use Google Plus much. So I was tried to Uninstall this app, Because This app was installed in a system, So we can’t Uninstall it without rooting. 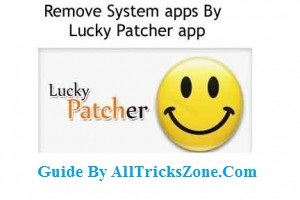 So I am posting this Guide, For How to Remove System Apps with the help of Lucky Patcher app easily. So if you want to remove the System apps then you will not able to delete that app than whenever You try to download any app so there was an error Every time saying that memory full, insufficient memory and all other kinds of errors then I thought to factory reset my cell then what about my data? I would lose all the data from My phone. So I thought to Remove System apps from your device, which I don’t use and free up some space. Must See – Best Apps for rooted android. 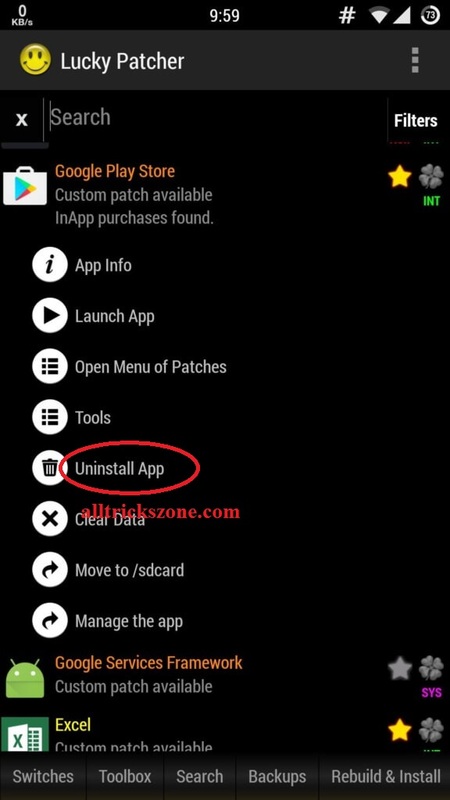 So guys if you want to remove apps, which are preinstalled on your android device, then you can simply follow below tutorial for this purpose. But remember and keep in mind that Lucky Patcher app will only work when you have rooted your device. 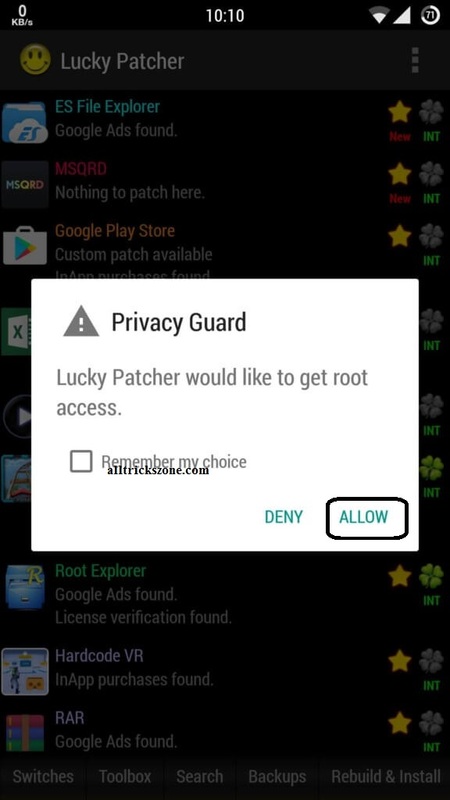 After Lucky Patcher app Installation from above link, Open it and it will ask for root permission So simply grant the Root Permission to this app. Not it will load all the apps which you are installed on your Android phone and show on the screen. 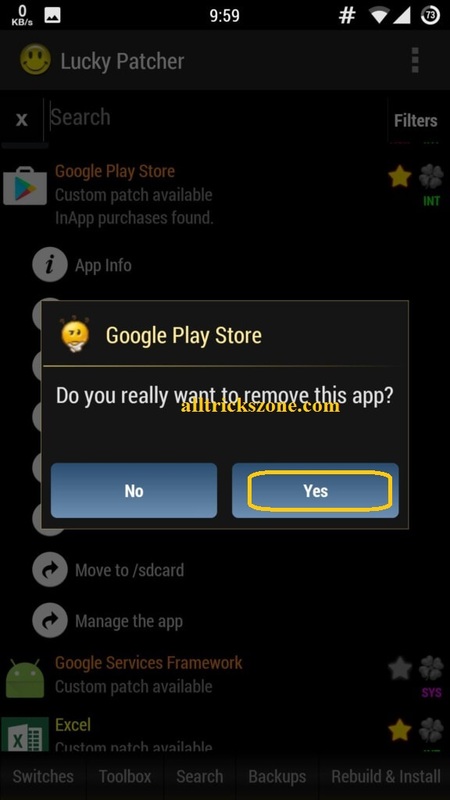 Now simply click on that app which you want to remove from your android device and Select an Option of Uninstall App. After that Simply clicks on Yes Button and waits for few moments, it will remove the app completely from your device. So just select That application and there you will see the option Uninstall that application Done, it will take Some seconds to delete that app. NOTE : Removing Some Important System apps may cause your phone soft Brick, So Remove only apps which are not necessary to run phone’s Operating System (OS). We are not responsible for Damage of your phone. That’s it, guys, This was the easy way by which you can Use for Removing System apps from your Device easily. And If you want to remove some kind of bloatware from your device, then you can simply follow this easy tutorial and it will help you to remove system apps from your device easily in Just a few clicks, if you are unable to follow above steps and face any issue simply comment on below section.